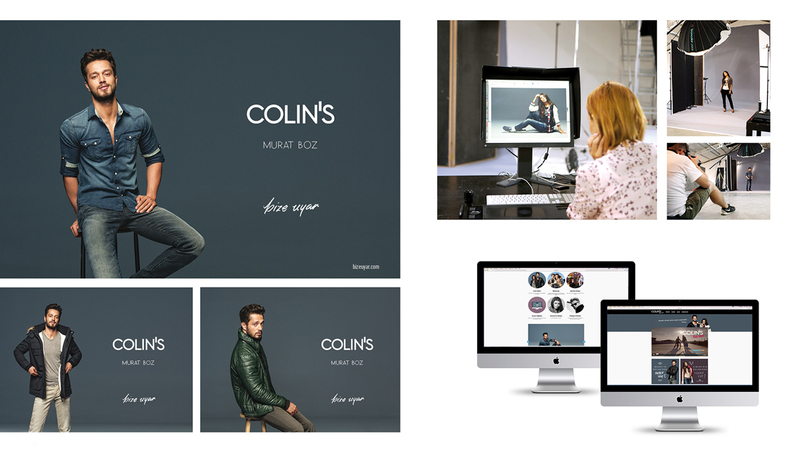 As a part of their latest campaign; Bize Uyar, we had a photoshoot for the international fashion brand: Colin’s. The models were the very popular Turkish pop star: Murat Boz and 2013 Beauty pageant winner of Russia: Elmira Abdrazakova. We worked with Phillip Mueller as the photographer and we were the creative directors of the whole campaign. We also designed the microsite: bizeuyar.com.